eBook: Inbound Marketing for RIAs: Handle Internally or Outsource to an Agency? 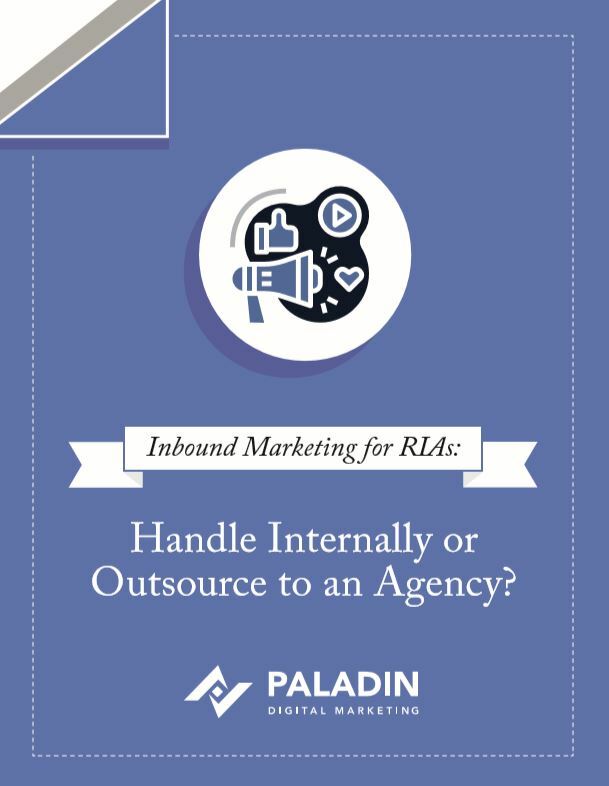 Free eBook: Inbound Marketing for RIAs: Handle Internally or Outsource to an Agency? As an RIA, lead generation is essential to your business. But it’s also time-consuming. Every hour you spend sourcing new clients is an hour not spent doing the work that makes you and your business money. This free eBook will help you determine whether you should handle your own marketing or outsource it to a professional.